Visual, 17.5” x 20” approx. Though a One of a Kind Pillow, a Very Similar Companion Pillow With Slightly Different Dimensions and Print Results is Available . 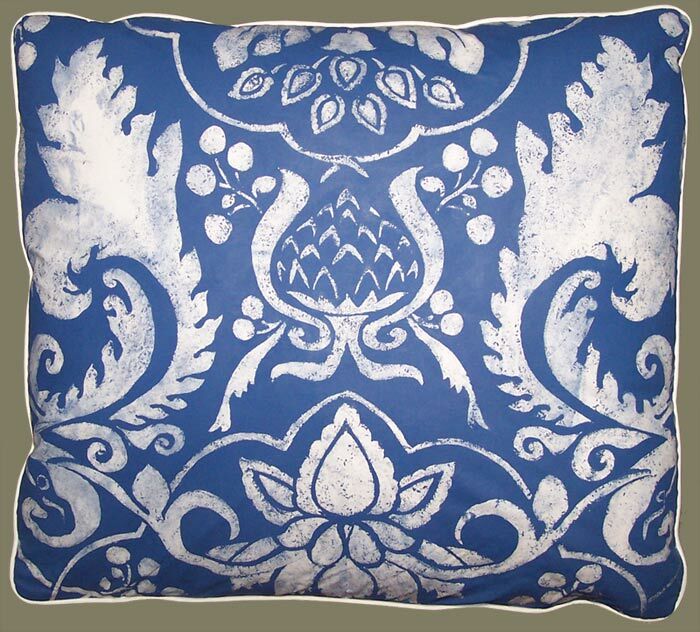 Please See Blue and White Pillow B as well as Coordinating Stripe Pillow Covers, Paisley Wooden Block Print and Chenille Window Pane Check Covers in Blue and White. Experiment with Print and Pattern Mixing!